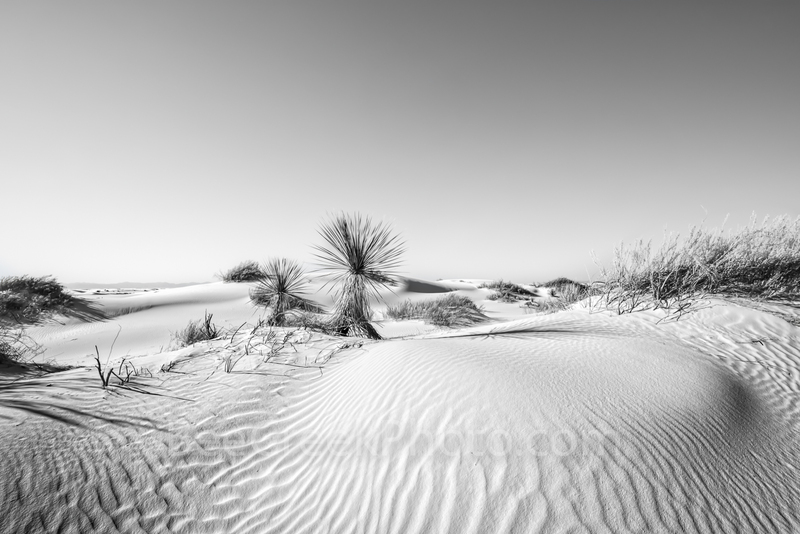 Scenic Dunes of White Sands B W - White sand New Mexico with the sand dunes being re-shaped by the constant blowing winds in the southwestern us in black and white. The desert landscape was stunning with it wind blown sand dunes with only some grasses and yuccas growing in the soft white powdery gypsum along with a blue skys made quite a stunning landscape scene. Photo © copyright by Bee Creek Photography - Tod Grubbs / Cynthia Hestand.